Background: Transcatheter aortic valve replacement (TAVR) has been approved in patients with high or prohibited surgical risk for surgery for treatment of severe symptomatic aortic stenosis. Prospective studies examining the benefits of TAVR in intermediate risk patients are ongoing. Other smaller studies including lower risk patients have been conducted, but further meta-analysis of these studies is required to draw more broad comparisons. Methods: A Medline search was conducted using standard methodology to search for clinical trials and observational studies including intermediate risk patients. We limited our meta-analysis to studies matching patient populations by propensity scores or randomization and examined clinical outcomes between TAVR and surgical aortic valve replacement (SAVR). Results: Analysis of the TAVR and SAVR cohorts revealed no significant differences in the outcomes of 30-day [OR (95% CI): 0.85 (0.57, 1.26)] or 1-year mortality [OR (95% CI): 0.96 (0.75, 1.23)]. A trend towards benefit with TAVR was noted in terms of neurological events and myocardial infarction (MI) without statistical significance. A statistically significant decrease in risk of post-procedural acute renal failure in the TAVR group [OR (95% CI): 0.52 (0.27, 0.99)] was observed, but so was a significantly higher rate of pacemaker implantations for the TAVR group [OR (95% CI): 6.51 (3.23, 13.12)]. Conclusions: We conclude that in intermediate risk patients undergoing aortic valve replacement, the risk of mortality, neurological outcomes, and MI do not appear to be significantly different between TAVR and SAVR. However, there appears to be a significant reduction in risk of acute renal failure at the expense of an increased risk of requiring a permanent pacemaker in low and intermediate risk patients undergoing TAVR compared to SAVR. 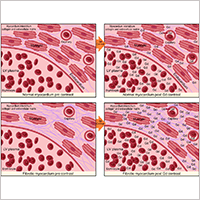 Venous disease, particularly venous thromboembolism, is associated with significant mortality and morbidity. 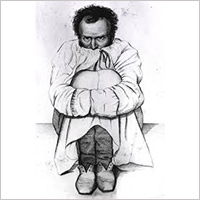 If the disease remains undetected, long-term morbidity can be significant. Up to 40% of patients with symptomatic deep vein thrombosis (DVT) develop post-thrombotic syndrome within 2 years. Furthermore, approximately 5% of patients with pulmonary embolism (PE) secondary to venous thrombotic disease develop chronic pulmonary hypertension with decreased cardiopulmonary capacity. Ultrasound is the first line modality for the detection of DVT. CT and MR venography may play a complimentary role to ultrasound, especially for iliofemoral or subclavian DVT. A variety of minimally invasive image-guided interventions can be performed for treatment of venous thromboembolism. 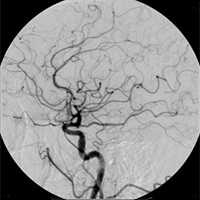 Catheter-directed thrombolysis with or without mechanical thrombectomy in acute DVT can clear thrombus from the veins. Those patients who develop post thrombotic syndrome as a sequela of DVT with iliac vein occlusion may benefit from venous stenting. Superficial venous reflux in the setting of post thrombotic syndrome can also be treated with image guided radiofrequency or laser ablation techniques. Treatment options for chronic lower extremity venous insufficiency include endovascular radiofrequency or laser ablation techniques as well as sclerotherapy based approaches. In massive and submassive acute PE, mechanical clot maceration and ultrasound-assisted catheter directed thrombolysis may improve outcome and are associated with low rates of major bleeding events. 2) No publication fee is needed for these invited papers. 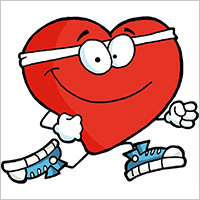 We are a looking forward to the submissions for the Focused Issue of Cardiovascular Diagnosis and Therapy entitled“Advanced venous imaging and image-guided venous interventions”. Temperature-related morbidity and mortality in Sub-Saharan Africa: A systematic review of the empirical evidence. Amegah AK1, Rezza G2, Jaakkola JJ3. Sub-Saharan Africa (SSA) contributes very little to overall climate change and yet it is estimated to bear the highest burden ofclimate change, with 34% of the global DALYs attributable to the effects of climate change found in SSA. With the exception of vector-bornediseases, particularly malaria, there is very limited research on human health effects of climate change in SSA, in spite of growing awareness of the region’s vulnerability to climate change. Our objective is to systematically review all studies investigating temperature variability and non-vector borne morbidity and mortality in SSA to establish the state and quality of available evidence, identify gaps in knowledge, and propose future research priorities. PubMed, Ovid Medline and Scopus were searched from their inception to the end of December 2014. We modified the GRADE guidelines to rate the quality of the body of evidence. Of 6745 studies screened, 23 studies satisfied the inclusion criteria. Moderate evidence exists to associate temperature variability with cholera outbreaks, cardiovascular disease hospitalization and deaths, and all-cause deaths in the region. The quality of evidence on child undernutrition is low, and for diarrhea occurrence, meningitis, Ebola, asthma and respiratory diseases, and skin diseases, very low. The evidence base is somehow weakened by the limited number of studies uncovered, methodological limitations of the studies, and notable inconsistencies in the study findings. Further research with robust study designs and standardized analytical methods is thus needed to produce more credible evidence base to inform climate change preparedness plans and public health policies for improved adaptive capacity in SSA. Investment in meteorological services, and strengthening of health information systems is also required to guarantee timely, up-to-date and reliable data. 4D flow imaging with MRI »Zoran Stankovic, Bradley D. Allen, et al. 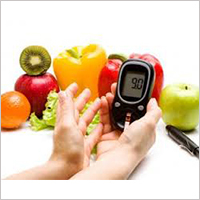 Vegetarian diets and glycemic control in diabetes: a systematic review and meta-analysis »Yoko Yokoyama, Neal D. Barnard, et al. 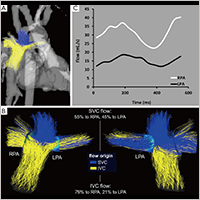 Cardiac MR imaging: current status and future direction »Maythem Saeed, Tu Anh Van, et al. 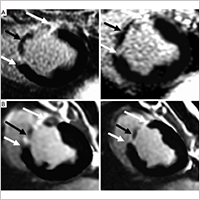 Cardiovascular Magnetic Resonance Imaging for Structural and Valvular Heart Disease Interventions. Cavalcante JL, Lalude OO, Schoenhagen P, Lerakis S.
JACC Cardiovasc Interv. 2016 Mar 14;9(5):399-425. doi: 10.1016/j.jcin.2015.11.031. Review. The field of percutaneous interventions for the treatment of structural and valvular heart diseases has been expanding rapidly in the last 5 years. Noninvasive cardiac imaging has been a critical part of the planning, procedural guidance, and follow-up of these procedures. 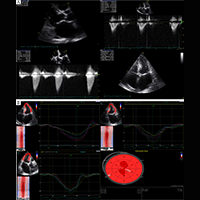 Although echocardiography and cardiovascular computed tomography are the most commonly used and studied imaging techniques in this field today, advances in cardiovascular magnetic resonance imaging continue to provide important contributions in the comprehensive assessment and management of these patients. In this comprehensive paper, we will review and demonstrate how cardiovascular magnetic resonance imaging can be used to assist in diagnosis, treatment planning, and follow-up of patients who are being considered for and/or who have undergone interventions for structural and valvular heart diseases. Current utilization of cardiac computed tomography in mainland China: A national survey. Liu K, Hsieh C, Zhuang N, Gao Y, Li Z, Ren X, Yang L, Zhang J, Budoff MJ, Lu B. Surveys that describe the utilization of cardiac CT are available for the United States, Germany, and Taiwan, but not mainland China. 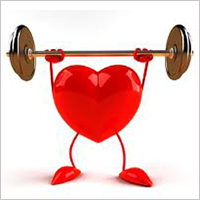 To analyze the clinical utilization of cardiac CT in mainland China. A 25-item questionnaire was created and 240 tertiary hospitals were randomly selected to participate. Survey data were collected and confirmed by email as well as phone interviews. In total, 237 (99%) hospitals consented to this survey, but 85 were excluded because of lack of cardiac CT patient volume or advanced technology. Finally, 152 (64%) questionnaires were available for analysis. Median patient volume was 1,037 patients (range: 150-8,072) annually. 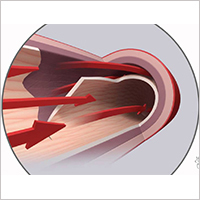 The most common clinical indications for coronary CT angiography were exclusion of coronary artery disease in patients with low to intermediate pretest likelihood, asymptomatic individuals with cardiovascular risk factors, and follow-up after coronary bypass grafting. The median heart rate threshold for beta blocker administration was >70 beats/min; most centers (86%) used sublingual nitroglycerin. Prospectively ECG triggered acquisition was the predominant technique in 44% of hospitals. Most (59%) providers adjusted the tube current to the body mass, but few (16%) adjusted the contrast injection rate. Per case, the mean examination duration was 14.2 min; post-processing time 13.6 min; and reporting time 18.0 min. Cardiac CT is widely established in clinical practice in mainland China but there is a need for more uniform standards regarding performance and clinical utilization.